The Poverello Center provides food and shelter to area homeless. CONGRATULATIONS, POVERELLO, on the new facility–a shining example of service and care! Blessed Trinity Parishioners volunteer on a regular basis at the “Pov.” More Volunteers are always needed. 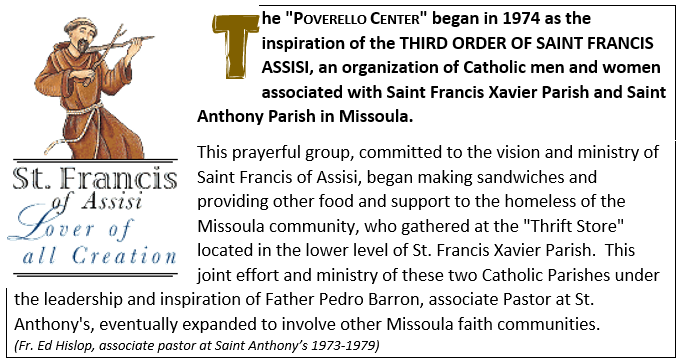 To learn how you can serve Click on the Poverello Center link below.